Lid- Shimmery neutral shade. Shiro Epona was mine. 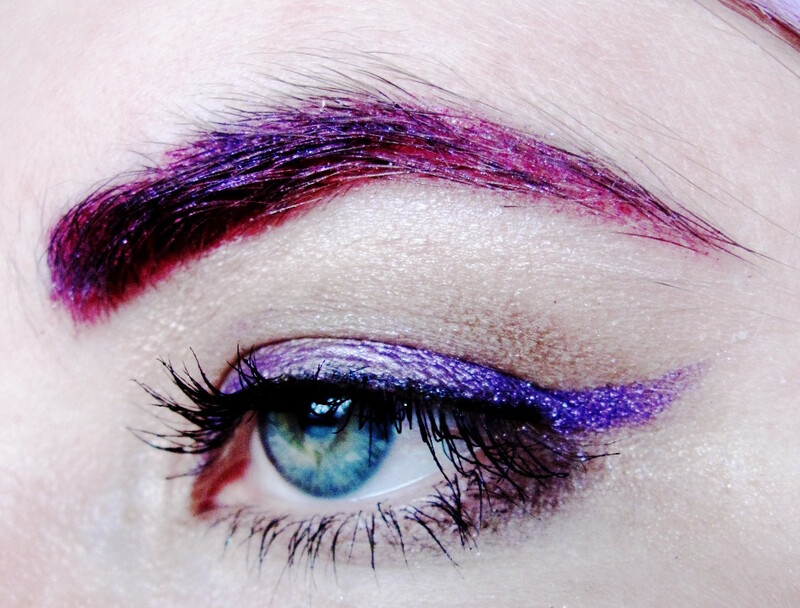 Eyeliner wing- foil Sugarpill Strangeling pigment. Eyeliner- Black, just at outer half of lid, tapering. Apply mascara and (if desired) false eyelashes– this is why we used the black eyeliner, to provide a base to blend them in a little more naturally. 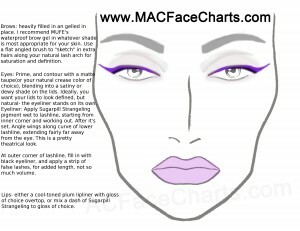 Mix a little Strangeling with gloss, or use a plum-toned lipliner.